Based on the comedy film, Dirty Rotten Scoundrels is set on the French Riviera and is all about two individuals who are trying to dazzle a millionaire heiress. Michael Praed plays the con man who makes a healthy living trying to persuade rich women to part with their cash. Written by Golden Globe and Emmy Award-Winner Jeffrey Lane, the scenes are full of hilarity which, more often than not, lead to real belly-aching laughter! The set was absolutely brilliant and, from scene to scene, the transition was completely seamless. As for the costumes, they were superb and reflective of the period and characters’ varied personalities. There was a variety of dancing scenes expertly executed by the troupe. The cowboy dancing and the salsa dancing were a joy to watch. Michael Praed and Noel Sullivan, in particular, made a great pairing and you could tell a lot of rehearsal had gone into their performances. Gary Wilmot and Geraldine Fitzgerald also had a great double act that endeared the audience. The pair were, by far, the audience’s favourites. Carly Stenson played the lead female role and has a great voice. Her career is sure to go onwards and upwards. This was a most cheerful production with lots of laughter to be had; this isn’t a production to miss. 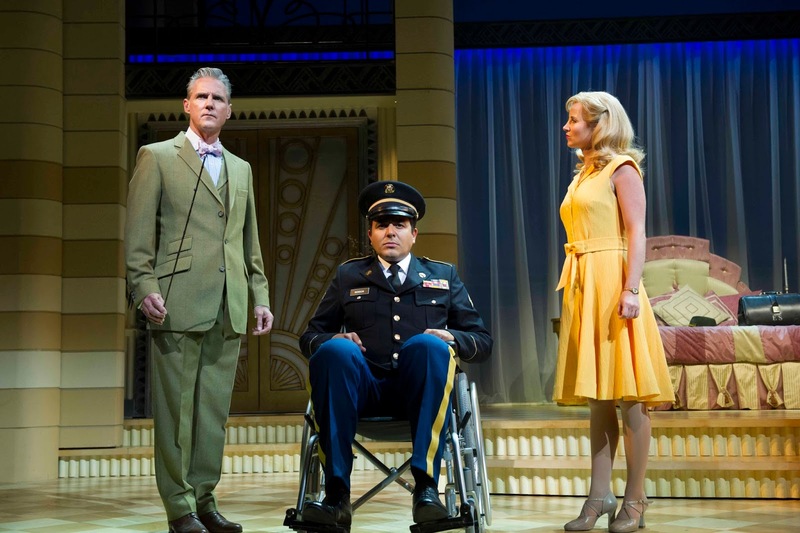 Dirty Rotten Scoundrels is on at MK Theatre until Saturday 26th September. The main premise of the play is that we are watching a rehearsal of an amateur production of the Importance of being Earnest. This theme quickly gives way to a straight production of Oscar Wilde's most famous play. 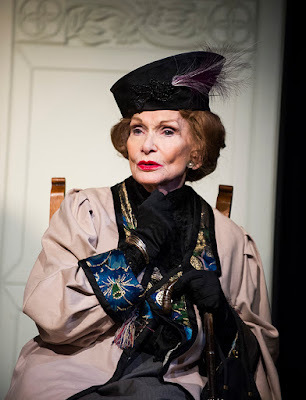 With Sian Phillips as Lady Bracknell, this performance was utterly majestic and very funny. From the word go, the production completely lives up to Oscar Wilde’s witty, running commentary of Victorian Life and society at the time. This new production, all about a pair of bachelors attempting to pursue two ladies, is directed by Lucy Bailey and boasts many famous faces such as Rosalind Ayres, Nigel Havers, Martin Jarvis and Christine Kavanagh. The pace and timing of the show was brilliant, accompanied by not only fantastic actors, but also a stunning Victorian set. Having first appeared in The Importance of Being Earnest in 1982, Nigel Havers was just as brilliant and excited about the performance. He really did fit into his role as Algernon Monclief so well, and worked seamlessly alongside his famous co-stars. There is still time to catch this play as it's on till Saturday at MK Theatre.